Carbon is an absolute building block of life as we know it and by mass it is the fourth most abundant element in the entire universe. And in case you forgot, the universe is a ridiculously large place, which means that carbon, little old 6C is probably more famous than Justin Bieber and Beyoncé . . . combined! We’re talking Michael Jackson levels of popularity here. That could be because carbon can form the most number of compounds compared to its friends on the periodic table, almost ten million described so far. Or perhaps it is because we covet carbon for its ability to make great pencils and even more when it is added to wedding rings. Regardless of where its popularity originates, one thing is for certain – everybody knows carbon and carbon knows everybody worth knowing . . . and their friends. In the last century, though, carbon has gone from being a star of the chemistry world to being one of the most utilized elements for a litany of products and inventions. One such invention around the middle of the twentieth century was the introduction of carbon fibers. These fibers found their way into products ranging from jet engines and automotive products to sports equipment and thermally conductive fibers for clothing. Most importantly to us, they also made their way into watches. 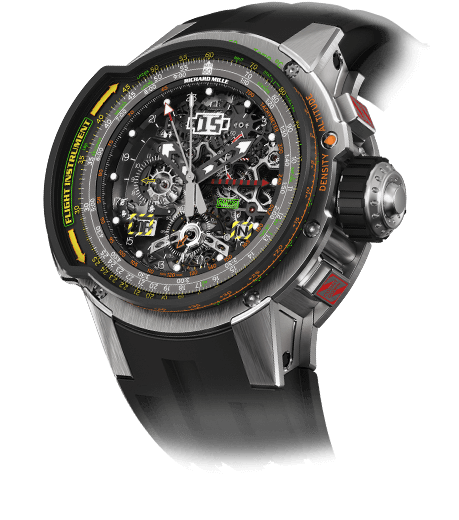 Carbon fibers are now changing the way watch cases and other components are made in the quest for ultimate lightness and strength. And it all began with a tiny little chain of carbon atoms. The first foray into carbon fiber watch cases was the most straightforward in regards to layered composite construction. Early on, the “easiest” way to make a carbon fiber watch case was to use woven sheets of carbon fibers that were layered and bonded with a polymer resin (similar to a two-part epoxy resin). Carbon fiber is very similar to fiberglass in that both use fibers – respectively carbon fibers and glass fibers – to reinforce a resin. This is the most familiar use because the fiberglass layup derivation techniques produce the tell-tale checkerboard patterns we see in carbon fiber creations. This technique has some advantages for creating watch cases. First, the general shape of the case can be cut out of the woven sheets and stacked together before resin is added. This way, when the carbon fiber is impregnated with resin and cured, the near net shape of the case is already achieved. This means secondary processing with machines can be reduced based on how accurately shaped the block of carbon fiber is. Depending on the case design the shape can be stacked flat and any three-dimensional curves machined from the rough shape. Or it can be cured in a curve to produce a single-layer top surface that retains the pattern of the woven sheet. This process results in a machined final shape; how much machining depending on complexity of the case geometry. Machining must be done with diamond-coated tooling, otherwise known as DLC tools, the name of which you might recognize as a coating (Diamond Like Carbon) for watch cases. That alone should make clear how difficult it is to machine solid carbon fiber if the tools need to be coated with something that supposedly keeps your watch from getting scratched in any way. Another option with this type of construction is to move away from a directional woven sheet and instead choose a discontinuous random-oriented fiber sheet. This can be worked with in the same way, but it does lack the typical pattern and instead appears to be random strands in a resin substrate. 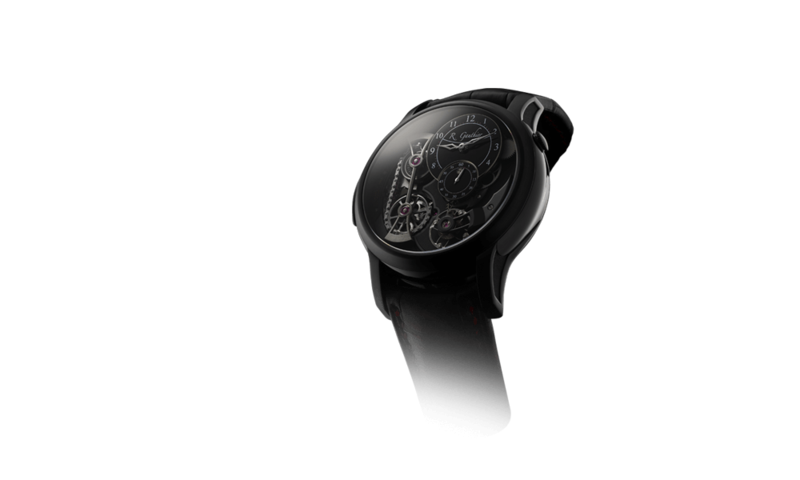 A great example of this is the new the Black Velvet from the Roger Dubuis Velvet collection. And, no, the inspiration for it didn’t come from the 1989 Alannah Myles song of the same name. The Black Velvet is named as such due to the speckled black carbon fiber case it sports. The construction technique for this piece utilizes a non-directional random fiber sheet layered and then machined. This creates a somewhat layered look from the edge of the case but allows for more uniformity in randomness on the face. The dial is also made using the same technique, which makes the presentation of the carbon flow across the wrist. One of the stand-out features of the case is, surprisingly, not the construction of the case but instead the inclusion of the 66 Paraiba tourmaline gemstones that are set directly into the carbon bezel. This is a world first for watch cases. The traditional way of setting stones into carbon cases has either been to secure them permanently with a clear resin or to have a mechanical setting made from precious metals inserted into a waiting space in the carbon. Black Velvet’s stones are set mechanically into the carbon itself, which is very impressive when you consider that carbon fiber is extremely difficult to work with once it is cured. The process of setting the stones is certainly a tough yet delicate task. Aside from the typical layer technique there are other ways of working carbon fiber as well, and two of them are somewhat similar in theory but provide very different aesthetics and performance capabilities. When you hear the word molded, you might think of a liquid material being poured or pressed into a cavity and left to cool or harden. This is how most casting techniques are accomplished, and how a large majority of plastic parts are made. A material is either heated (in the case of metals and thermoplastics) or mixed (like resins and thermoset plastics) and then introduced into a mold in a variety of ways (poured, injected, drawn) and allowed to set. This process is how a molded carbon case is made, but with a slight twist. When plastics need reinforcing, plastics mechanics and composite technicians will add glass fibers to the melted plastic to be injected into a mold. These glass fibers add a large amount of strength to the final component compared to a non-glass-fiber-filled example. The final appearance will be a bit milky and lighter in color and have more of a matte look. In a carbon fiber-reinforced part the process is similar but with an exception: instead of thousands of tiny glass fibers, an equivalent amount of tiny carbon fibers are added. Also, instead of just being left to set, the mold is kept under pressure and heat to facilitate a strong bond between the plastic and the carbon fibers. This process makes the plastic molded part a bit darker, though it also creates a more matte appearance. The resulting component is rather strong, more so than a glass-filled example, and a significant amount more than a solid plastic part. The resulting watch case doesn’t, however, look like one made of carbon fiber. Instead, it looks like a plastic or coated metal case bearing little resemblance to the woven pattern in conventional carbon cases. The material is much more resistant to wear and abrasion, but that does not make the part as tough as carbon fiber. To get the benefit of a solid carbon case in strength, looks, and performance, we look to carbon forging. The simplest explanation of the difference between carbon-reinforced molding and forged carbon is the amount of carbon and the amount of pressure and heat. With the molding process, the main material is a plastic with carbon fibers added; the heat and pressure are only enough to melt the plastic and inject it into the mold cavity. Forged carbon takes an entirely different route. A female mold cavity, similar to a female die in a stamping process, is filled with chopped bundles of fibers. These fibers are wrapped with a resin material fiber to hold the bundles together while they are placed in the mold. These are the only materials that go into a forged carbon piece. A male mold is inserted into negative cavity and compressed under a few tons of force. This pressure is then combined with heat as the mold, under pressure, is heated to the temperature required for the resin to melt and flow around all the carbon fibers, somewhere between 120° and 180° C (250° to 350° Fahrenheit). Once this temperature is reached, the pressure is increased to a specific number based on the volume of the die (somewhere in the vicinity of 1,500 psi) and held while the material flows together and creates a generally homogenous material. The pressurized mold is now allowed to cool and solidify before removing the pressure. What is then extracted from the mold is a completely solid and near-perfect-shaped watch case (or whatever has been forged) that is dimensionally stable, extremely strong . . . and very light. One of the big advantages of the process is virtually no waste, compared to as much as 20 percent waste for a typical layup technique. The reason it is a more difficult process to employ is the precise calculation of the mold shape, material quantity, and resin percentage – which is what takes most of the development time. The surface finish of the material depends on the finish of the mold cavities, but since the material is mostly homogenous it can be buffed and polished, brushed, or blasted to achieve a uniform surface finish.  The look of this type of component is becoming rather well known in the watch world, a completely random distribution of light and dark patches of solid carbon, almost appearing like camouflage in blacks and greys. Roger Dubuis’ collection contains a great example of this type of construction as well with the new Excalibur Automatic Skeleton Carbon. 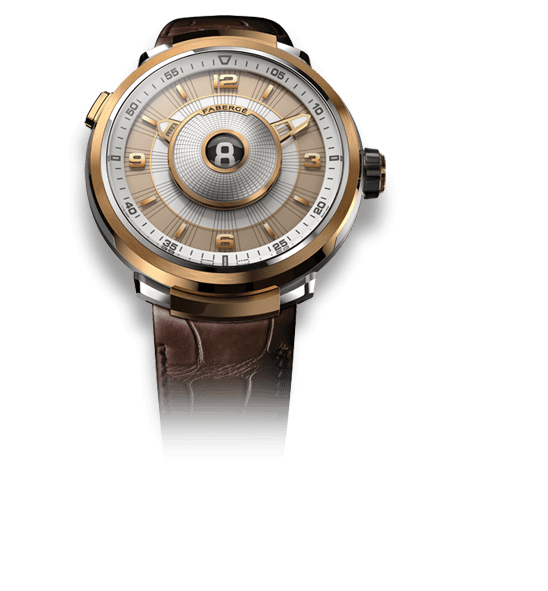 It features a completely forged case band, bezel, case back, and crown making the entire weight of the timepiece almost nothing on your wrist. 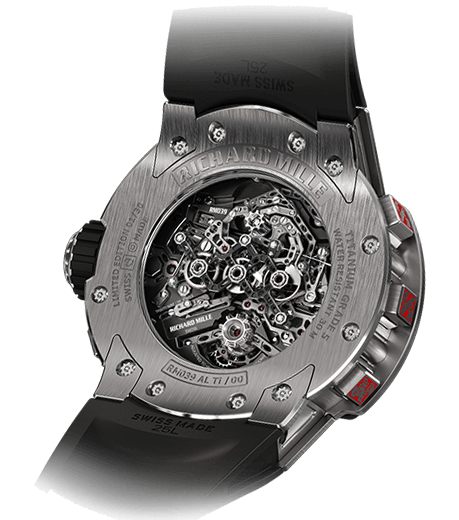 Of course, the skeletonized movement helps in that respect too. With the forged carbon of the Excalibur Automatic Skeleton Carbon and the layered and machined carbon of the Black Velvet, Roger Dubuis displays two pretty awesome processes in very different ways for different types of buyers. Each process requires an entirely unique approach and has its own advantages. With the layered and machined composites, the manufacturing is relatively linear with each process taking its share of the total production time. The final part is very strong but not completely homogenous and requires a fair amount of post-processing after the initial layup technique. Forged carbon on the other hand requires intense preparation and planning before ever making a single part. But once the foundation has been laid, the actual production of the parts (the forging process) is relatively quick and produces a part ready for much more minimal processing and finishing. Forged carbon also produces the strongest and most stable form of carbon composite that is available. The look is very different and the final product has a variable story to tell. 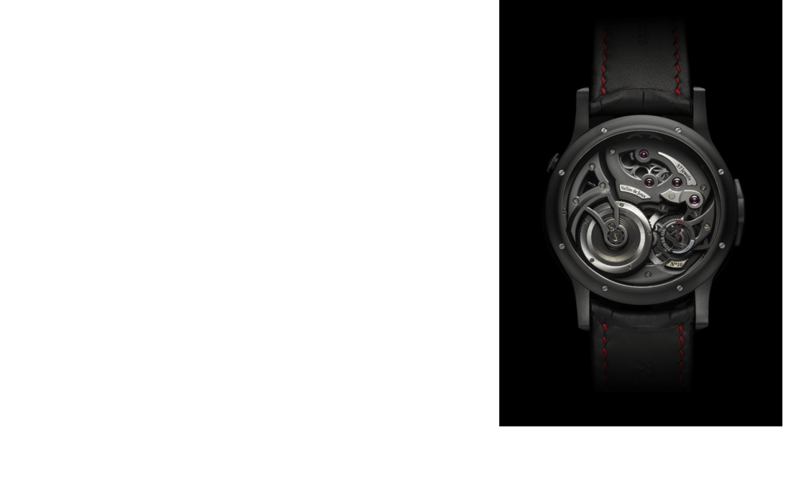 The sportiness of the Excalibur Automatic Skeleton Carbon really does call for the more advanced carbon forging technique, while the Black Velvet begs for a focus on post processing with the addition of mechanically set jewels in the carbon bezel. Cousins by process, but brother and sister by design, the Black Velvet and Excalibur Automatic Skeleton Carbon are great examples of the differences in technique even when manufactured by the same brand. Most brands will try to master only one technique, but for Roger Dubuis this is an example of fleshing out your arsenal for full manufacturing capabilities. Not surprising from a brand making movements to the strict codes of the Geneva Seal hallmark, which requires 33 percent more time than making non-compliant movements. I urge you to look into Roger Dubuis and more into the different types of carbon manufacturing; it really is still the forefront of materials and manufacturing science. And I think we can agree that this is a wonderfully nerdy thing. 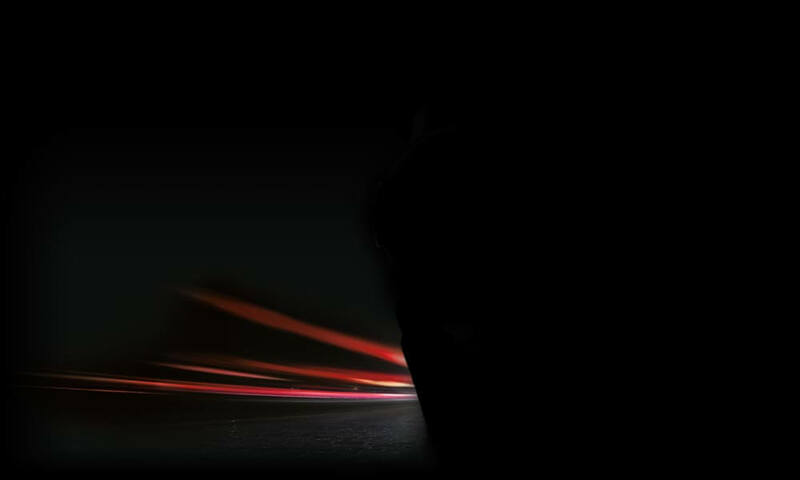 For more information, please visit www.rogerdubuis.com/black-velvet and/or www.rogerdubuis.com/excalibur.